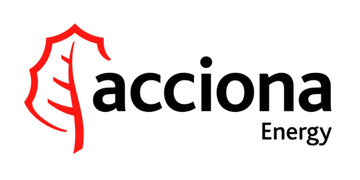 ACCIONA Energy South Africa is currently looking for 1 Electrical Technician for our O&M Company Firefly. Perform operations and maintenance (O&M) tasks at the facility to achieve optimum performance of the Wind Farm at all times. Ensure the safety and reliability of machinery to optimise plant availability. • Perform relevant tasks and actions to keep the wind farm operating optimally at all times with maximum availability. • Proactive repair or component replacement to prevent complete failure or downtime. • Perform servicing, troubleshooting and repair of the wind turbine electrical, hydraulic and mechanical components in accordance with manufacturer’s guidelines. components in accordance with manufacturer’s guidelines. • Utilise control, instrumentation, telecommunication and electrical engineering concepts regularly during work activities. • Provide technical assistance to the Turbine Assistants. • Ensure efficiency of the wind turbines whilst observing the sites safety, quality and environmental rules and laws. • Apply troubleshooting, corrective, predictive and preventative maintenances and inspections whilst attending to every incident that could adversely affect the wind farm’s operations. • S upervise specialist and subcontractor activity during main component exchanges or maintenance. • Capture tasks on the O&M management systems (MAXIMO,RDO..etc) on a daily basis. • Perform wind turbine and substation switching with an authorization of up to 132kV. • Ensure compliance with the company’s health, safety, and environmental rules and regulations and report any incidents/near misses immediately to superiors. Degree/Training: N6 (Electrical Engineering) or National Diploma (S4). Millwright or Electrical Trade Test, and Matric. Additional Training: Driver’s license (minimum code B), Computer skills, PLC’s & Drives or Converters experience. Must be willing to work irregular hours, shifts and Standbys. Physically fit and able to work at heights. Must be able to attend to call outs within one hour.